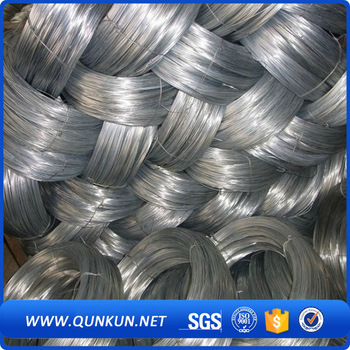 Product categories of Galvanized Iron Wire, we are specialized manufacturers from China, Electro Galvanized Iron Wire, Hot dipped galvanized iron wire suppliers/factory, wholesale high-quality products of Galvanized Iron Wire R & D and manufacturing, we have the perfect after-sales service and technical support. Look forward to your cooperation! Galvanized Iron Wire can be divided into hot-dipped galvanized wire and electro galvanized wire according to the differences of processing.Both of them are solid and durable which are widly used by landscapers, craft makers,ribbon manufacturers,jewelers and contractors. 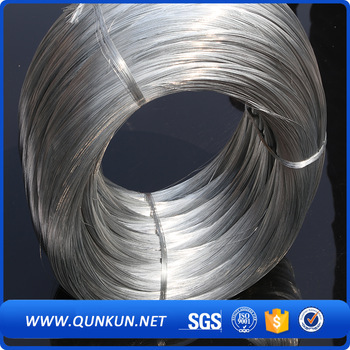 Our modern and diverse production equipments and experienced staffs can ensure the onsistent high quality of galvanized iron wire.